A special tribute was paid to Lesley Hart MBE at the AGM as she stood down from her position as Honorary Patron after 8 years. 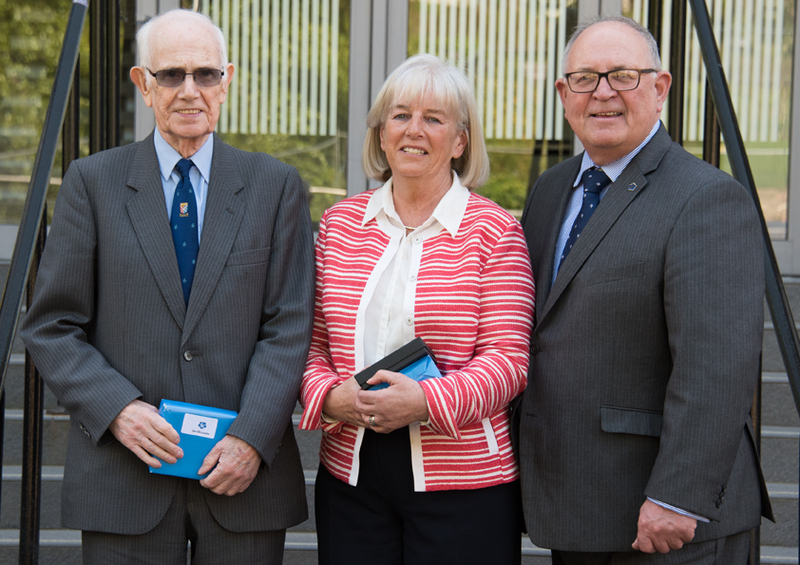 John Parkhill explained that Lesley had played a unique role in founding, promoting and supporting the Association over its 30 year history. Most recently, she has performed her role as Honorary Patron with great skill, based on her remarkable professional career and a wealth of knowledge of the Association’s history and organisation which has been of great benefit to 3Ls Members, Management Council and Club Office Bearers. He expressed a huge debt of gratitude to Lesley on behalf of the Association for her vision and commitment to our organisation.